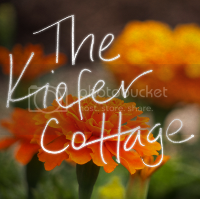 The Kiefer Cottage: The Age of Miracles and Giveaway Winner! Let me introduce you to a wonderful little novel I read yesterday. This young-adult sci-fi tale was all over the papers and radio a few weeks ago, so I ordered it to arrive on my doorstep the day of release. I rarely do such a thing, buying a hardback copy of a new book (although I'm anxiously awaiting the delivery of Shadow of Night. It's Twilight for adults. Read it, y'all). But I've always been a science fiction fan, and the title was calling my name. Starr, Starr, read me! Plus I needed a break from the Stephanie Plum series I'd been plowing through (just finished #12 on Monday). 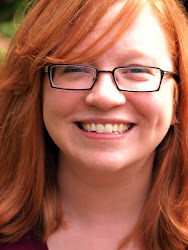 The Age of Miracles is a story about the Earth's rotation gradually slowing, told from the perspective of preteen Julia. I don't like when book reviews have too many details, so I'll just say that there is some interesting speculation on what would happen to humans and wildlife if such a "slowing" were to occur. One reason I enjoy sci-fi is that it allows me to imagine a world far different from my own, and this book definitely delivered. But it was an emotional gut-punch as well. Tough memories of the misery of middle school came bubbling up for me along with the painful insecurity of friendship all those years ago. Some reviewers called these details unnecessary fluff, but their addition was vital to making this story not just a well-played tale about global catastrophe. In a nutshell, character development is a good thing here. The Age of Miracles is not the feel-good story of the summer. However, it's a worthwhile read. It only took me a few hours to finish, and I might even read it again. On that chipper note, let's pick a giveaway winner for a subscription to House Beautiful! Ashley from First Home Dreams! Please email me your mailing address so I can get the subscription going. It'll probably be 4-6 weeks before you get your first issue, but I hope it's sooner! I just read the review for this book and it sound great! I added it to my list.